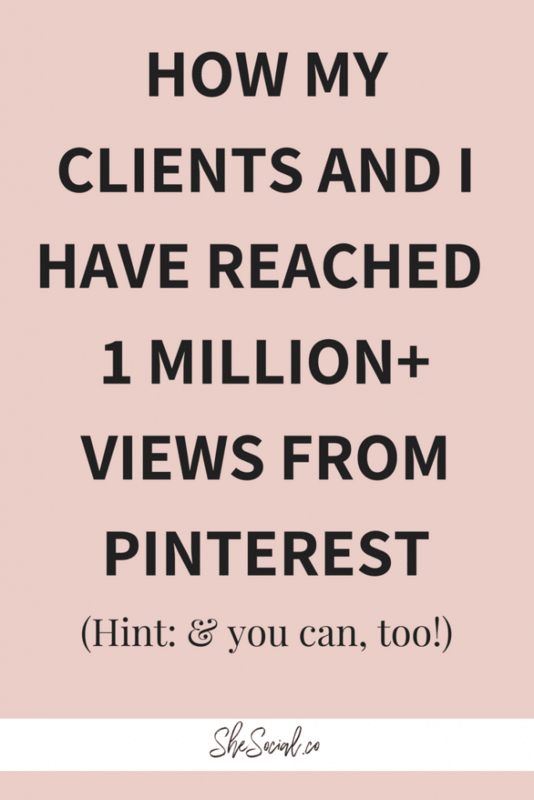 How My Clients And I Have Had 1 Million+ Views On Pinterest! 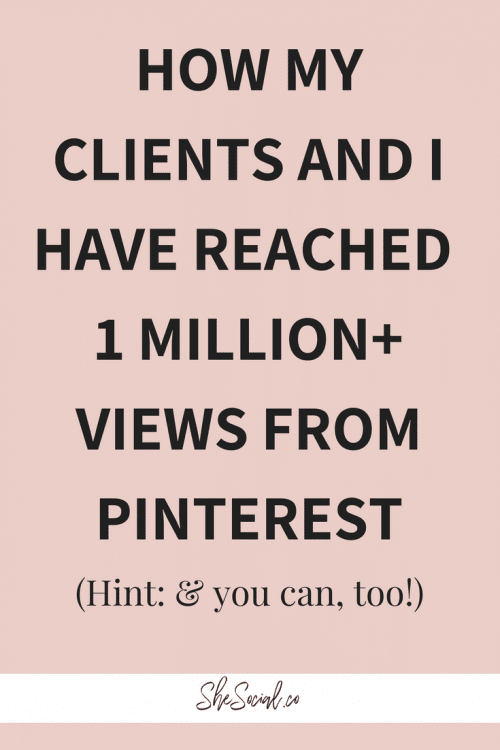 Between my clients and I, we have reached well over 1 MILLION views on Pinterest. Since being a Pinterest Guru and Social Media Strategist is my job, I thought I would share with you a few hacks on Pinterest I have been using for us to tap into some serious growth! It’s no secret that Pinterest is one of my favorite platforms. I feel like I’m always praising Pinterest on my blog, on my podcast, on my Instagram, and in my Facebook group. To any new business owner out there, I highly recommend you put more effort into blogging and Pinterest than any other platform because the payoff is so much greater than any other organic social media out there! 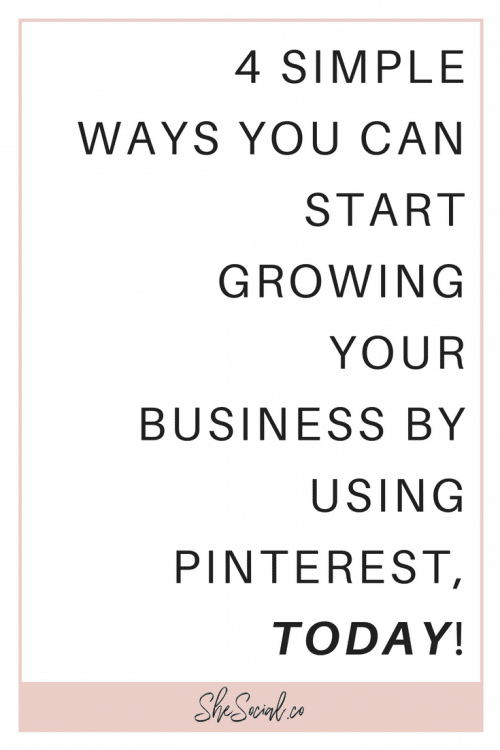 Pinterest is an amazing tool that doubles as a social media and can grow your platforms and businesses like crazy. First, if you haven’t realized it yet, Pinterest is a search engine and not just another social media account. That means that more people are likely to see your content on Pinterest than on Facebook and Instagram combined! With keyword research and knowing your ideal client (find out who she is for free and take my Ideal Client Masterclass here), you can reach her much easier on Pinterest than any other social media out there! 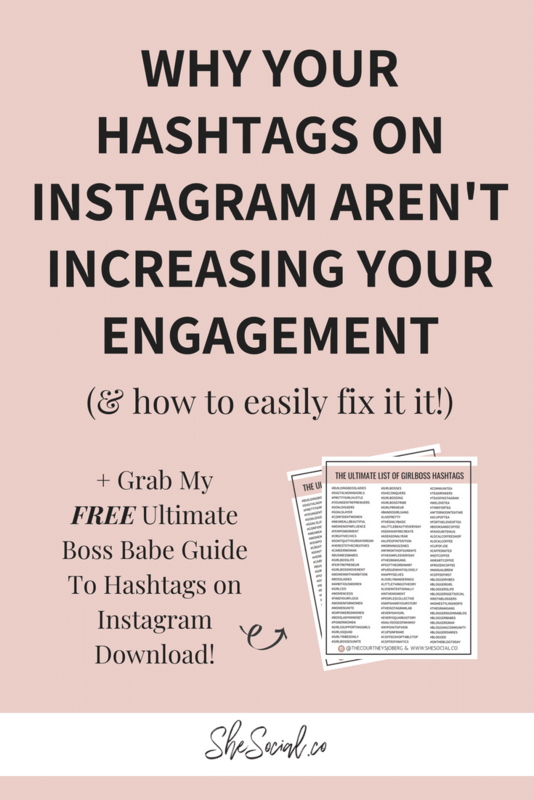 On Facebook or Instagram, your posts are ranked on an algorithm that isn’t attached to keywords and phrases which means after a week of posting, that bomb AF Freebie you worked on developing is collecting dust and isn’t likely to be discovered again. 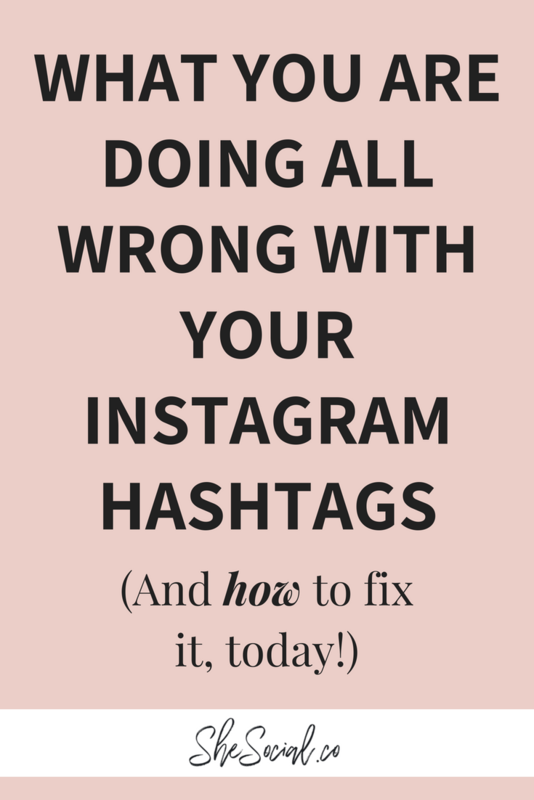 Where on Pinterest your content and pins can literally go viral YEARS after creating them with zero additional effort. Here are a few quick tips that I’ve been using on Pinterest for my clients and myself to maximize our business growth and increase our reach and you can, too! FIRST, I recommend using Tailwind for scheduling your posts AND manually pin. Tailwind is my holy grail Pinterest tool, but that doesn’t mean you shouldn’t try to pin manually every day, too! Tailwind gives me the ability to be able to write my blog posts in advance and then schedule them to go out on my Pinterest on the days and times that the blogs go live! TALK ABOUT A LIFE SAVER! Tailwind also offers things like Tailwind Tribes and other ways to hack into growth, but just using it to schedule to my boards and some group boards that I am apart of is enough for me!! Want a FREE MONTH trial of Tailwind? Click here to get yours! SECOND, blog titles and Pinterest images matter! Something that is titled “time management hacks” sounds interesting but something that says “8 tips to start mastering time management today” is MUCH more likely to get clicked on and shared. Tap into the head of your ideal client and figure out what she would absolutely DIE to learn and read! Another tool that I die over, besides using Pinterest itself, to do some keyword searching is the Google Keyword Planner tool. I would basically die without this tool and I don’t write a blog or create any content, ever, without using this first! THIRD, blog… A lot! It has been proven time and time again that those who blog 3-4+ times a week have upwards of 60% more traffic than those who do not! Blogging is a huge part of my online strategy besides Facebook and Instagram. It gives me the opportunity to build SEO on my website and give my audience value on a daily or weekly basis! Blogging is NOT dead and I recommend you get started ASAP! Need help? We’ve got your back! AND LAST BUT NOT LEAST, create beautiful images and test test test! I have been known to create 4-6 PINNABLE images for ONE blog post just to see what my audience and my clients’ audience likes. Put time and energy into these images and titles and make the click-worthy EVERY. SINGLE. TIME. If you have a hard time creating beautiful images I would recommend hiring someone to help you develop templates and tap into your branding! 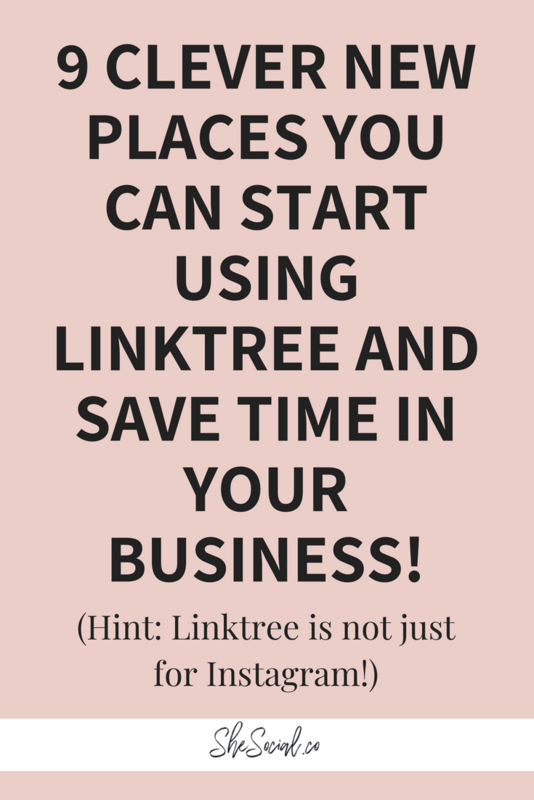 This is an investment that can pay off BIG time, especially when you are using Pinterest! Pinterest traffic counts for about 5% of ALL website traffic on the WORLD. So put in the effort and make it count and I promise you will start to see the results you desire! If you are looking for more guidance on Pinterest and want to work 1:1 with me on coaching or having me take over your Pinterest, feel free to reach out to me here and let’s get your traffic flowin’! Are we friends on Pinterest? Come and follow me here!